A staff member arrives and orders Beatty to move his brigade north, covering the area from the McDonald Farm to Baird’s left. Beatty is astonished. He is being asked to cover a division’s frontage with his single brigade. Nevertheless, the order stands, and he moves his men northward. 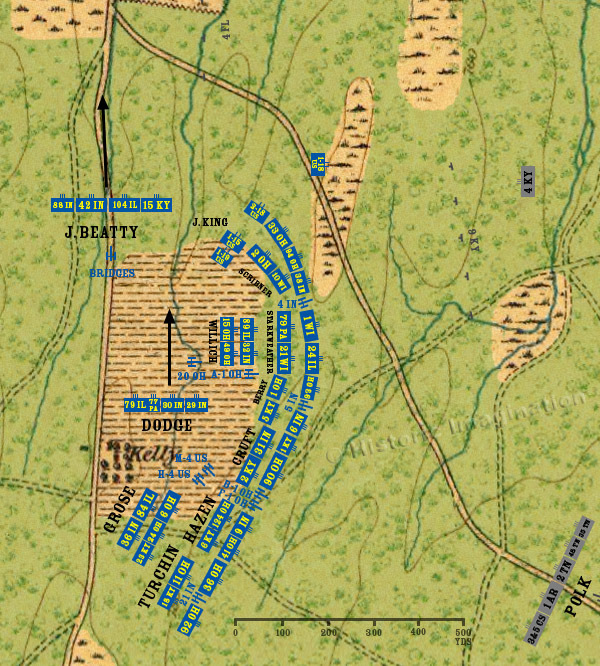 At the south end of Kelly Field, Dodge’s brigade of Johnson’s division is sent northward to help extend Baird’s line.